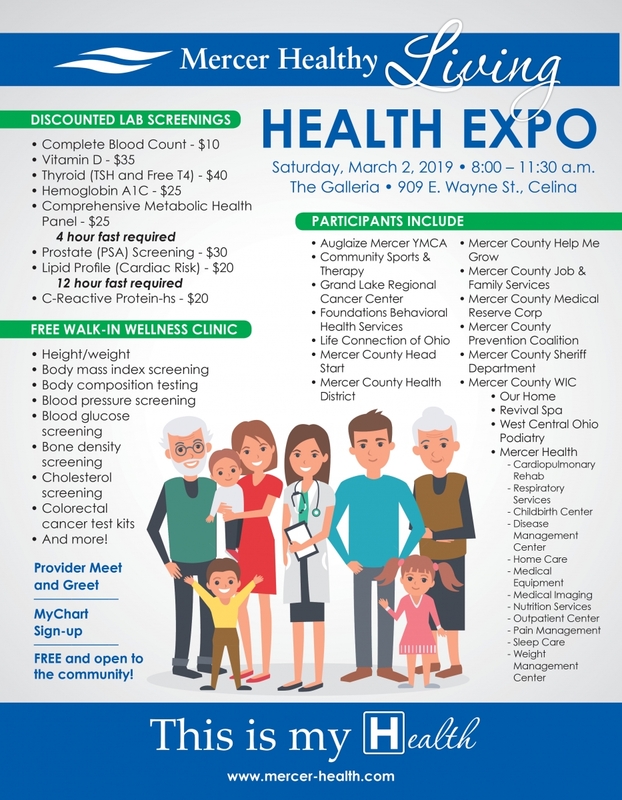 Mercer Health will host the annual Mercer Healthy Living Expo on Saturday, March 2 from 8:00 to 11:30 a.m. at the Galleria in Celina. Admission is free and more than 30 local organizations will be in attendance to offer health and wellness information and resources. The event will also include discounted lab tests, a free Walk-in Wellness clinic, a prescription drug takeback, a Mercer Health provider meet and greet and more! More information can be found on the attached flyer. Please contact Community Outreach at 419-678-5216 with questions.